I love LOAD! I love finding some time everyday to create a page. The most amount of time I give myself is an hour. I love that I make quick decisions and stick to them. I love that this builds confidence to continue this process when LOAD is over. But most of all, I love that I will have 28 new completed LO's. I also like combining ideas from other sources, as I have done again today. Such a versatile sketch! I love it! Here is what I created. Thanks for taking a look today. 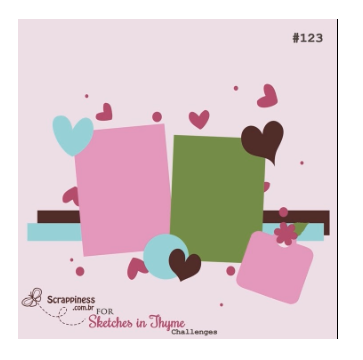 I am on track with LOAD, just a little out of order... Head over to Sketches in Thyme and join our sketch challenge this month. Love what you created. Great letters and love how you did your strips of paper. 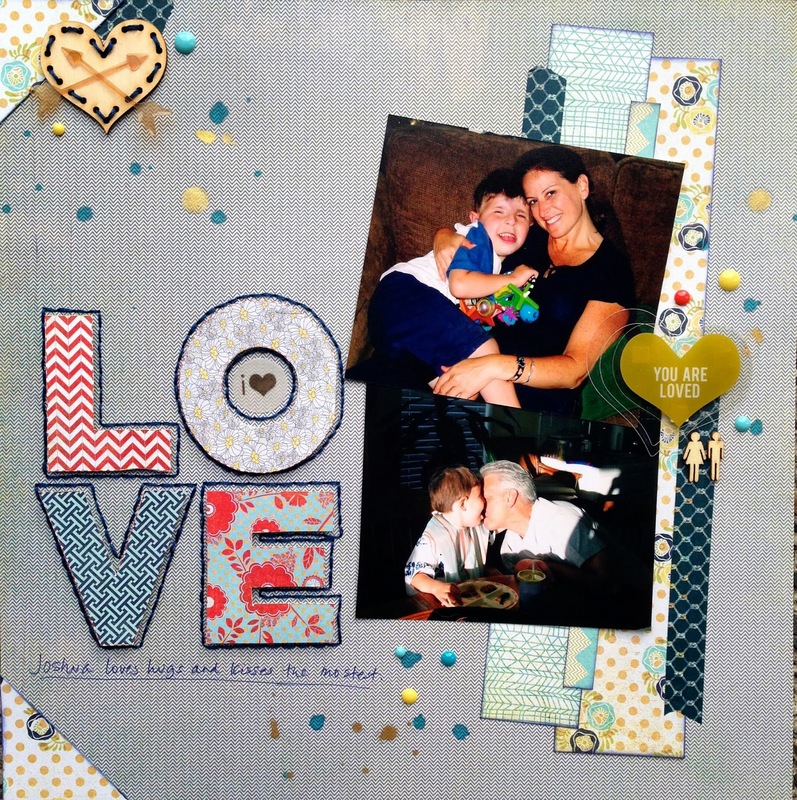 Awwww...what a sweet layout! LOVE how you did the title!